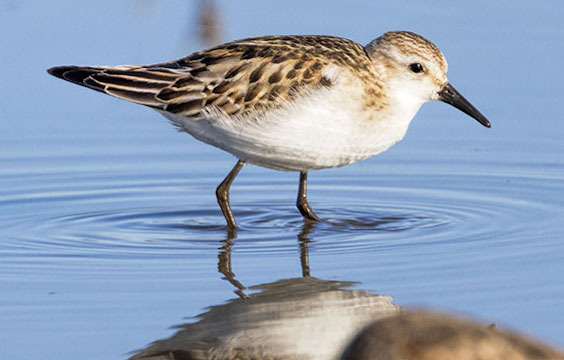 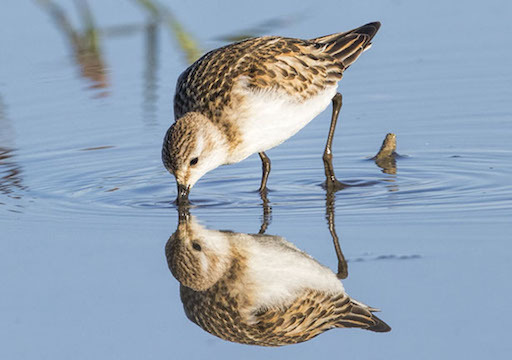 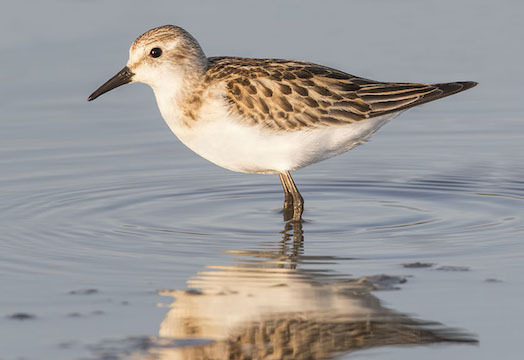 Little stints are Eurasian breeders and very rarely make it to North America, but this one showed up in October 2016 at the San Jacinto Wildlife Area in southern California (it was first spotted by my sharp-eyed friend Tony Metcalf, as it fed in a large flock of least sandpipers). 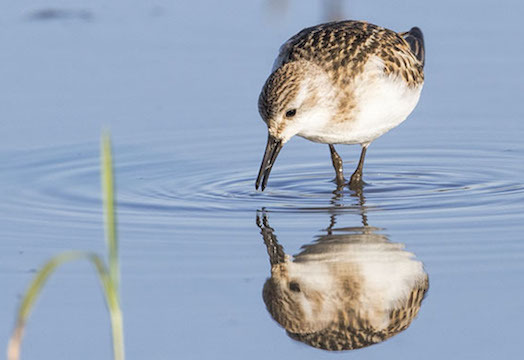 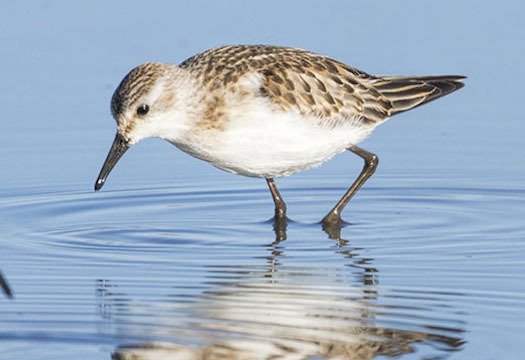 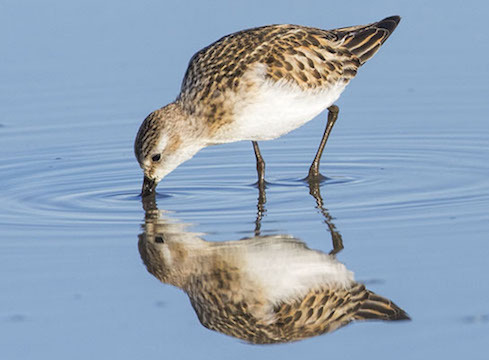 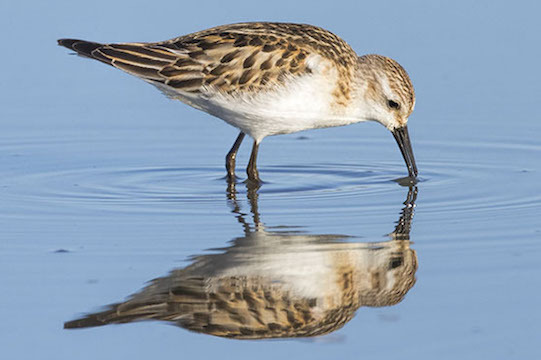 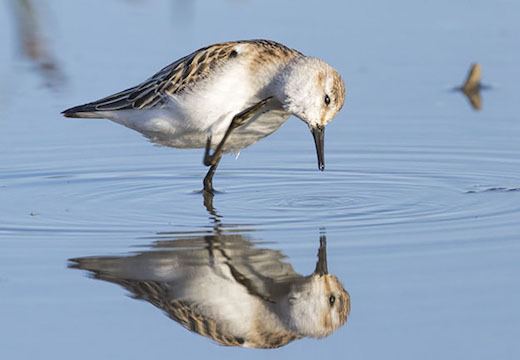 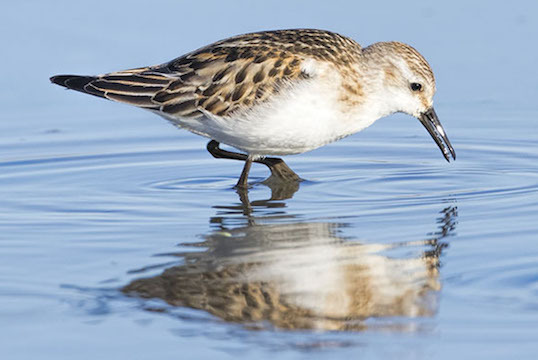 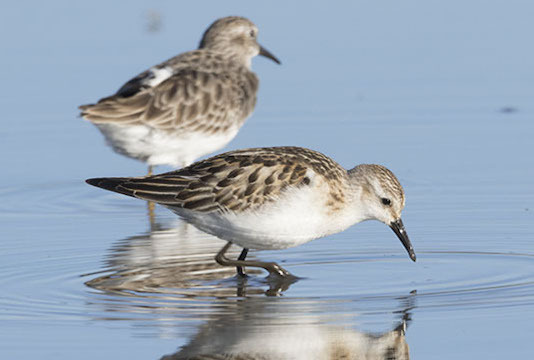 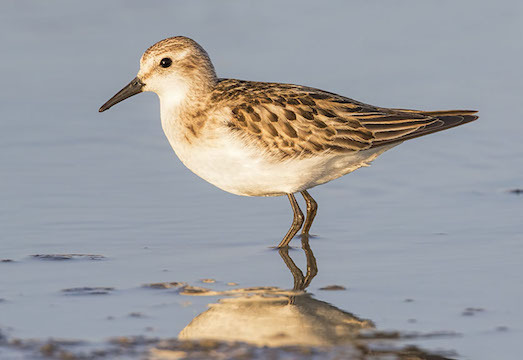 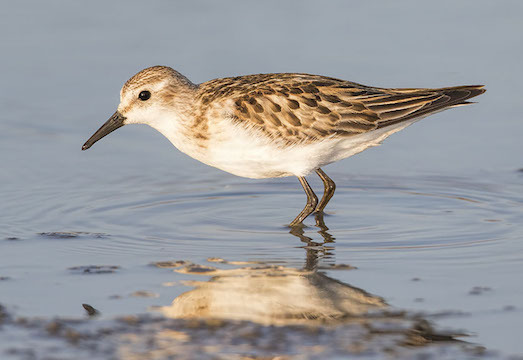 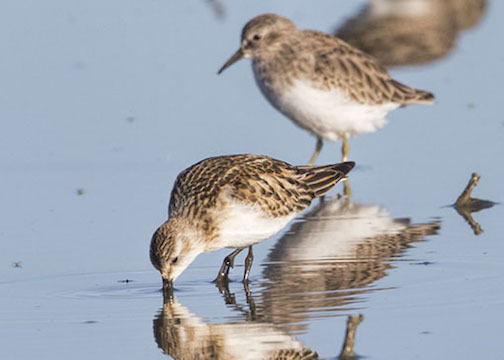 Compared to least sandpipers, little stints (this one, at least) have black legs and a more contrasty plumage, with many dark-centered dorsal feathers, and -- somewhat apparent in a few of these images -- pale edges to the scapulars forming a 'V' on the back. 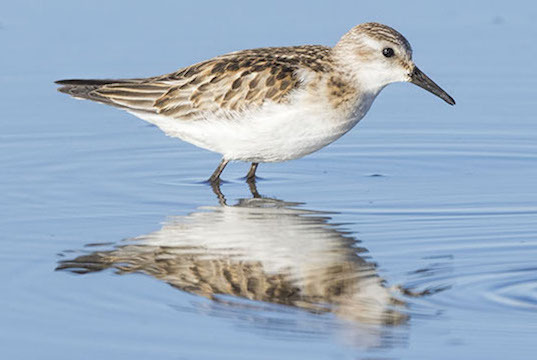 Like many migrating sandpipers, this bird was hard to photograph because it fed almost constantly and seldom looked up (its flock was also very flighty, perhaps not surprisingly because there were both peregrine falcons and merlins in the vicinity.